There are 11.5 million migrant domestic workers in the world and 73 percent of them are women, the International Labour Organization’s (ILO) reported in 2015. 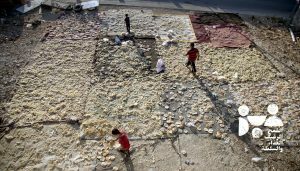 Of the roughly 70 thousand migrant domestic workers in Jordan (around 50 thousand of whom are registered workers) 92% are women. Many of these workers are mothers who, faced with the difficult choice of staying with their children and traveling thousands of miles away from home to feed them, were forced to choose the latter. 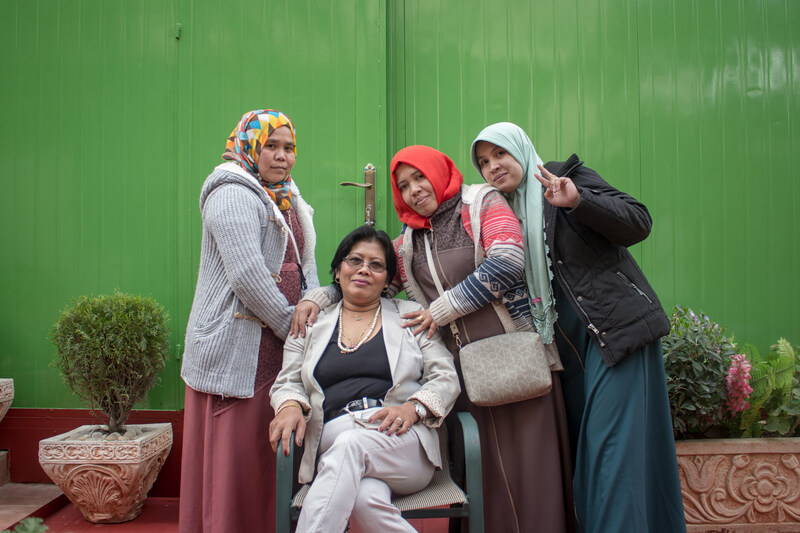 Below, three female domestic workers from Sri Lanka, Philippines and Indonesia share the stories of their migration experiences to Jordan and the challenges of being so far away from their children. 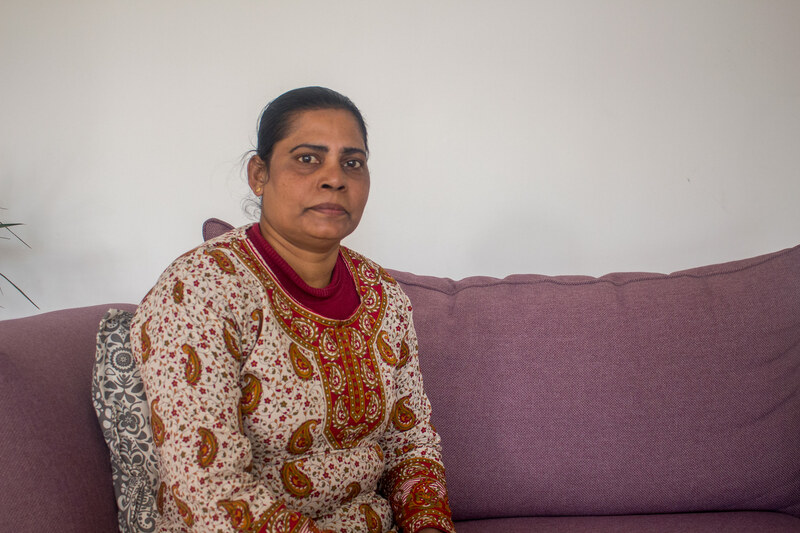 In 2001, Mali was in her thirties when she moved from Sri Lanka to Jordan for a job as a domestic worker. Upon arriving to her new workplace, her 60 year old female employer immediately led her to a corridor next to a bathroom and told her that this was where she was going to sleep. When Mali laid down to sleep that night she noticed that Sri Lankan phrases were written on the walls. The phrases said things like, “do not stay here, the lady of the house is evil.” They warned, “she will hit you, deprive you of food and lock you up.” Mali later found similar phrases on the walls of the basement and realized that they must have been written by former domestic workers of the house. Mali figured that her female employer did not pay attention to the writings. This was an ominous start for Mali, who was forced to move to Jordan after a difficult period at home in Sri Lanka. Her husband had just passed away leaving her at home two teenage boys and a baby girl. To come work in Jordan, Mali had to leave her children behind with her mother in Batticaloa, a city in eastern Sri Lanka. At the time, Mali’s mother was already also taking care of two children belonging to Mali’s sister, who was away working in Lebanon. While Mali’s new employer in Jordan was far from ideal, she was in a desperate need of work, so she convinced herself that she could manage. She would go on to work in the house for three years, enduring everything and more that previous workers had warned through on their secret messages on the house’s walls. Working in the house, Mali quickly learned that she would be treated as if she did not need to eat everyday. She was not allowed to be anywhere near the kitchen while the lady cooked, and the lady often served meals for herself and her husband without serving anything for Mali. Without offering any food at all to Mali, her employers would often throw their leftovers in the garbage after meals. Mali’s employer even locked the kitchen door when she was not there meaning that Mali couldn’t even eat meals on her own. Mali often even lacked access to clean water, and was forced to drink from the bathroom faucet when thirsty. “Do you know why I am sick?” Mali remembers asking her employer while she pleaded for a meal one day. “Go ahead and eat out of the garbage,” her employer responded. Luckily, Mali lived next to a house that also had a domestic worker who she could sometimes speak with. After Mali told her neighbor of her conditions, she began to pass Mali food through a fence separating the two houses. “I would have died without her help,” Mali said. 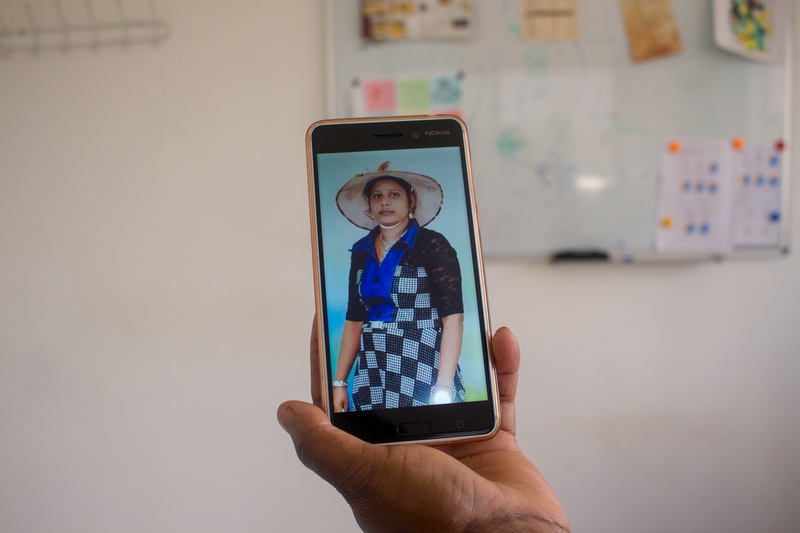 Since Mali was never allowed to leave her house, and she did not have access to a phone, the neighboring worker became Mali’s only link with the outside world. When Mali first arrived at the house, she did however write a letter to her mother and gave it to her employer to mail. After waiting many months without receiving any response, Mali grew concerned about why her family did not respond to her. Over a year after she sent the letter, Mali was cleaning the house one day and accidentally came upon it amongst some clutter. With tears in her eyes, Mali immediately took the letter her employer and demanded to know why she hadn’t sent it. Her employer furiously responded that she would never send any letters for Mali. After this, Mali’s neighbor agreed to secretly help send letters to Mali’s family. “We hid the letters just like thieves hide stolen items,” Mali remembers. The only reason Mali tolerated the years of abuse was in order to provide for her children. Her husband had left her with a rice and vegetable farm at their home in Sri Lanka, but it would have provided barely enough to keep her kids alive. Mali was eventually able to leave her employer and find work with four other families in Amman that treated her well. To these families, Mali said she did not feel like was just a “servant” anymore. Still, Mali always found that taking care of other people’s children painfully reminded her of her own. She liked the children but found that she could not help but long to be with her own children while giving them baths and getting them dressed. While working she would often think of her own mother, a single woman caring for five children (including three of Mali’s), and begin wondering whether her mother could bathe them well and dress them appropriately. For 12 years, Mali worked for a family with two children, who were eight and six years old when she began working. Particularly in this house, Mali lived a paradox. She cared for these two children and witnessed their transition from childhood to adolescence while her own children grew up in Sri Lanka without her. “My mom saw everything, I didn’t,” Mali said. Out of concern for Mali, her mother avoided telling her bad news such as when one of her kids got sick or hurt. Mali, however, regularly spoke with her twin sister to ensure that she was informed of everything going on with her kids. Sometimes when Mali would think a lot about her children, she would have intense nightmares which would lead to panic attacks the next day. “My head used to hurt a lot,” Mali said about those years. For Mali, work became the best treatment for missing her children. This is why, even though she stopped working in homes two years ago and has the ability to keep a more normal working schedule, she still works long hours without taking days off. For Mali, free time means thinking, and thinking means anxiety and depression. The ways in which Mali communicated with her family in Sri Lanka changed drastically throughout her time in Jordan. At first she contacted her mother and children through messages and recorded cassettes, which took two or three months to mail. Later she began calling her family twice or three times a month through prepaid cards. Now, through WhatsApp and Imo, she communicates with them “every half an hour” or so. At first, Mali only saw her family during two-month long vacations she took to Sri Lanka every two years. So, rather than seeing her children grow up steadily, she witnessed their development in leaps and intervals. Every time she visited, she was surprised with how much her children had changed. She said that “(her) heart broke” more than once after she brought them clothes as gifts only to find out that they had already outgrown them. Social media however now allows her to keep as up to date as possible with her children’s lives and appearances. While visiting, Mali felt that her children were closer to her mother, who they called “mama,” than to Mali, who they called “big sister.” The children always listened to Mali’s mother, but when Mali would suggest something to them “it would go in one ear and out the other,” Mali said. Mali was not saddened by this because she knew that her children would “grow up and understand” why she had to live away from home. 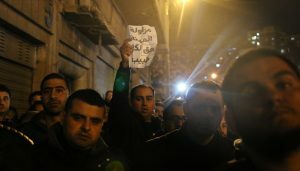 Mali believes that they now do. When these vacations were over and it was time to say goodbye, Mali’s children always acted as if they were traveling with her. They would put their belongings in bags, wear clothes for travelling and prepare themselves to leave home. Mali would tell them that she was travelling by plane, and children were not allowed in planes because they could fall out of them. At the end of every vacation, her children would weep for days, and sometimes even fall ill with fevers. The same happened to Mali. For weeks upon arriving in Jordan, she would be plagued with bouts of crying, nightmares, insomnia and appetite loss. One year after visiting home she said her weight dipped to 35 kilograms and it took 6 months to completely get back to normal. Mali’s daughter is now in university studying to become a teacher, and her sons work on her family’s farm. Mali said that she needs three more years to save enough money to finish building their house in Sri Lanka and to buy her daughter a motorcycle. While Mali is now in the final stage of her migration journey, she cannot help but worry that this is also the final stage of her mother’s life, who is now 72 years old. She wonders about how much time she will have left to live with her mother after she returns home in three years. Mali turns 51 in three years and is also becoming reflective that this may also be the final stage of her own life. Once she finishes work in Jordan, how many years will she have left to truly enjoy her own life? Mali wonders. When Hannah, then 30, left her hometown of Zamboanga in the southern Philippines in 2011, she told her husband and three children that she was going to Manila with a friend for work. Hannah in fact was actually moving to Jordan, and she waited two months after settling in Amman before telling them where she went. Hannah decided to lie to her family because she was afraid that seeing the tears of her two daughters and son might have caused her to change her mind. She also knew that her husband would strongly oppose the idea of her working abroad, and she wanted him to accept it as a fact. Hannah holds a university degree in hotel and restaurant management, but was forced to leave her work in this field in the Philippines. Not only the wages were low, but her husband found that her work, requiring her to deal with “all kinds of people,” conflicted with his Muslim faith (she was Christian). In her first job in Jordan, Hannah worked for a family with four children between the ages of two and seventeen. Before starting work, she reminded the family that, according to her employment contract, she would be working as a domestic worker and as a not a nanny. Thus, she would only do cleaning in the house and would not be held responsible for the children. She made sure to stress this point with the family because she had heard numerous stories from female domestic workers working in Arab countries who were imprisoned or even executed after being accused of harming their employers’ children. “I told the lady that I want to live for the sake of my children,” Hannah said. Her female employer assured her that the eldest daughter would take care of her siblings when their mother was away. This turned out not to be the case. Hannah observed that the eldest daughter would always stay in her room even while the young children fooled around the house with “full diapers.” Eventually Hannah decided to intervene and helped take care of them, even though the children were often disrespectful of her. “They used to spit on me and pinch me… although (their mother) would ask them to stop, she was not taking any action to make them do so,” Hannah said. While Hannah tolerated this, she could not tolerate the constant delay in receiving her salary. One time she remembers telling her employer, “I take care of your children, you in turn have to take care of mine.” Hannah threatened the family that she would leave if they did not pay her salary regularly, and she ended up doing so nine months later. After leaving the house, she needed to settle her legal status in Jordan and got help from the Tamkeen Center for Legal Aid & Human Rights. During the seven years Hannah worked in Jordan, she visited her children in the Philippines only once. She loved her children but knew that, however difficult, she could support them much better through working abroad. She did not however have much support at home in helping raise her children. Hannah’s mother, the best secondary caretaker for her children, had passed away before she came to Jordan. She was thus left to count on her husband who, suffering from drug and alcohol addiction, turned out to be a less than ideal caretaker. Hanna hangs a photoshopped image with her children on her bedroom wall. During these years, she was able manage the normal details of her children’s everyday lives without too much trouble. More than once however she found herself having to help her children overcome major events from thousands of miles away. Three years ago, her husband died suddenly at 47 years old because of problems related to his addictions. At that time, she had legal problems related to her residency and leaving the country meant that she would not be able to come back to Jordan. She found herself choosing between two options; either sacrifice her chance to work here and go back to her children who kept nagging her to go back, or stay here and leave them to face the shock of their father’s death on their own. She decided not to go back and sent her children to live with her brother and his wife. For weeks, she divided her time between hard work and daily calls with her children to calm them down. Last year, Hannah faced another fateful event when she received a call from her brother’s wife telling her that her 17-year-old daughter was about to commit suicide. Young men were attempting to blackmail her daughter through using photographs of her. 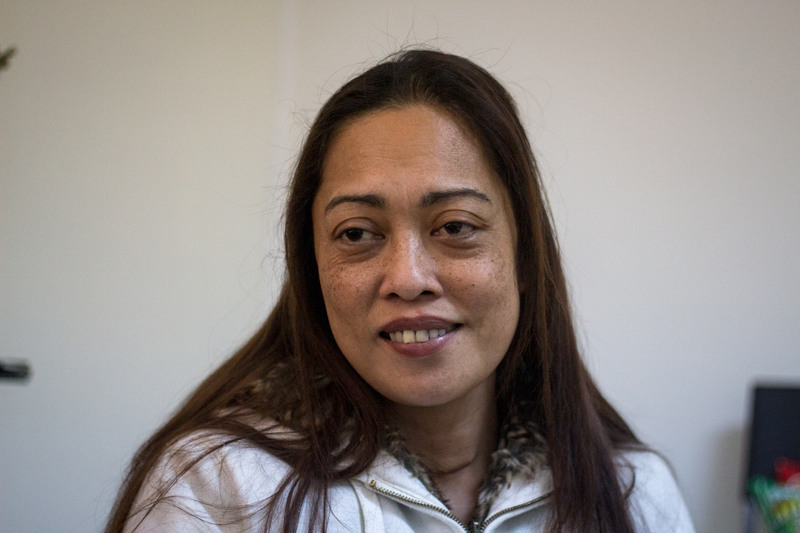 Hannah believes that her daughter was a target because she was working abroad and they thought her family was “rich.” This situation pushed Hannah to move back to Philippines for the first time since she moved to Jordan. The young men extorting her daughter were arrested and imprisoned. However, just before she returned to Jordan, she made a difficult decision that was opposed by everyone around her. She waived her complaint against the young men and helped them get out of prison. She did this because she was terrified that the men or their relatives would take revenge against daughter or her other children. “I did not want to make them angry, I told them I will give you safety, so give my daughter safety,” Hannah said. A year has passed since the incident and nothing has happened, but she still lives in constant concern for her daughter. This is why she calls her children so often to make sure that everything is ok. These traumatic incidents also pushed Hannah to change the way she makes relationships with people at her home in the Philippines. She says she was never previously a very social person at home. Her immigrant experience however has taught her to build and strengthen her relationships with relatives and neighbors in the Philippines. She now has a much larger network of people to contact about how her children are doing and to count on for favors. Hannah’s children constantly ask her to move back home, but she reminds them that they still do not have enough money. Securing a good life for her children and paying for their education is very expensive in Philippines. Her work in Jordan has enabled her to enroll her two daughters and son in private schools. She has also been able to put her oldest daughter through university. If she stayed in the Philippines, it would be incredibly difficult for her to finance the costs of even in public schools for them. Although public schools provide free education, they still require the parents to pay for textbooks, uniforms, transportation fees and other expenses. In addition, her work in Jordan has enabled her to finance the costs of university studies for her younger sister after the death of her parents. Hannah carefully observes how the money she sends home is spent, and has learned from the stories of many other workers whose families have wasted their money and have returned home to “nothing” after years spent working abroad. That’s why she was always careful not to send money to her husband when he was alive, and rather sent money to her brother who sent her receipts for everything he bought for her children. After a while, she began sending money to her oldest daughter, who did the same. Hannah is confident that her children can bear her absence because they understand just how hard she works to support them. To ensure they appreciate the value of money, she deliberately video calls with them while working. Hannah says that when she sometimes eats something special, she feels guilty because her children are not eating the same. So she calls them and tells them that she is going to send them money to buy it. They often refuse and say it is not wise to waste money on luxury. Hannah does not have a specific date in mind to return home and, barring emergency, is determined to continue to work as long as she is capable of doing so. She is currently comfortable in the place she is working in. She also now rents an apartment with a group of female Philippines workers. They enjoy spending their weekends at home cooking, eating, listening to music, singing and dancing. Rahma’s migration journey began in 2000 when she was 34 years old. She left home in East Java province in Indonesia for the United Arab Emirates before working in Kuwait and now Jordan. She left behind four children in Indonesia between the ages of four and fourteen who are under the care of her husband and her mother. Before she left home, her family lived off a farm she inherited from her father. Her husband’s income from the farm was enough to cover daily living expenses but not much else. Securing university education and marriage costs for her children would mean borrowing money or selling part of the farm. Rahma strongly opposed this idea because she saw how hard her mother struggled to preserve they property and expand it. Rahma stuck to these convictions and opted to find work abroad instead. After years of work, she was able to expand on her mother’s work and purchase two farm plots from her brothers. 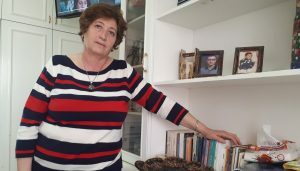 Rahma, who speaks a mixture of Gulf and Levantine Arabic, says that the other main reason she was forced to migrate was to save money for retirement. She is afraid to succumb to the fate of poor elderly people she has seen that have suffered abuse. 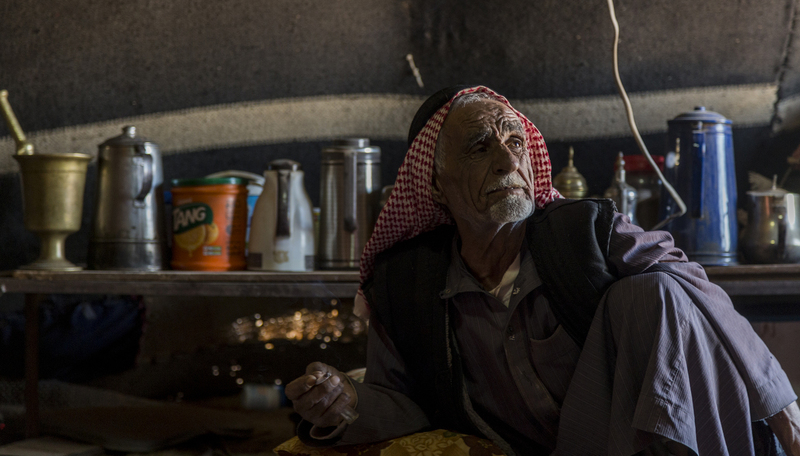 “I am terrified of the old age, for me to live a long life,” Rahma said. Rahma would never have left her children if her mother had not been there to take care of them. She said that while her husband is “good-hearted,” he is still a man and, according to her, a man cannot be relied on to wash, clean, cook and take care of children. “He will call out, oh mom (for help)”, Rahma said. She stresses that she is not the only one who thinks this way. Women who work abroad work hard to ensure that their children are left in the custody of women in their families, Rahma said. 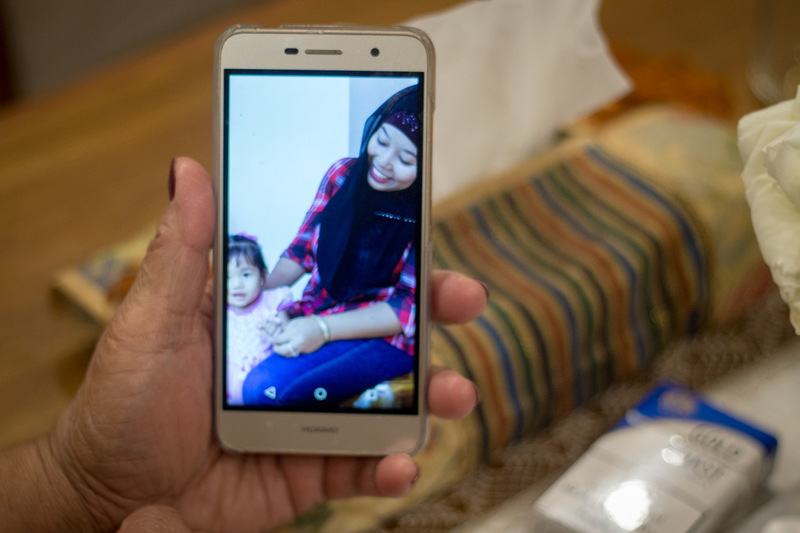 Rahma’s employer allowed her to make two phone calls a month, and the time between the calls would make her “crazy.” This was why she bought a used Nokia phone for JD 10 and began calling them regularly. At one point, the calls cost her so much money that she would not save any money if she continued at that rate. She decided to reduce the number of her calls. Rahma used to travel back to Indonesia on intermittent vacations. 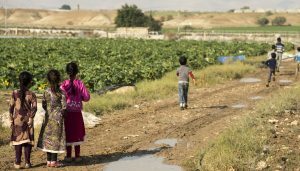 Based on work conditions, she would would stay in Jordan for about two to three years before returning home. Her longest stay in Jordan was for four consecutive years. After that long stint, her mother and children welcomed her at the airport in Indonesia. Rahma, however, did not recognize her children at first. Her daughter was seven when she had last seen her, but four years later she was much taller with longer hair. She didn’t even recognize her twins, who were four when she left them. Their light-colored baby skin had grown much darker over the years. She began asking her mother, “mom, who’s this? And who’s this?” She also greeted a young man at the airport thinking that he was her oldest son. 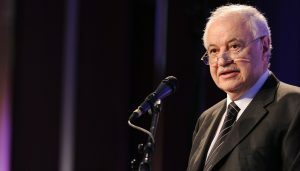 The man was in fact her son’s friend, and told her that her son could not come to the airport because he was working. The vacations usually lasted for two to three months and she would go out with her family to tourist places, parks and restaurants. She used to notice that her children were shy with her, but dealt naturally and spontaneously with her mother. When they were young, they did not understand why she was abroad and would ask her things like, “why did you leave?” She used to tell them, “for your sake my beloved ones, I am living abroad and you are at home.” Rahma said that while people believe she looks “strong from the outside,” she thinks the the opposite.“My children and my mother mean a lot to me. If I don’t talk to them twice or three times a week, I can go crazy,” she said. Twenty years from when she first migrated away from home, Rahma says that she has completed almost everything she planned. She helped her oldest son get married and launch a Tofu factory. She also helped her daughter get married and launch her own farm insurance business. Meanwhile, her twins have graduated from university and are now working. She also managed to renovate her house and change its furniture. She also managed to send someone to perform Hajj on behalf of her dead father and is planning to help pay for her mother’s Hajj journey. As mentioned earlier, she has also expanded her family’s farm. Rahma is not in a hurry to go back to Indonesia even though her friends and relatives ask her to do so. Rahma says that her husband often calls her and insists that she moves back. “But I cannot. I got used to living alone. 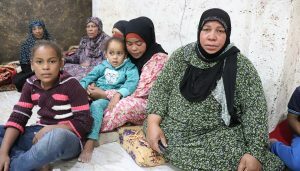 I can no longer live with them,” Rahma said. Rahma says that her relationship with her husband turned into a brother-sister relationship after the years apart, and she believes this is part of the price she paid for her migration experience. They each now have a separate room in her house in Indonesia. Rahma is also now enjoying her work in Jordan. After an elderly lady Rahma took care of for two years passed away, she moved in with the lady’s niece who was living alone. Working in this house has encouraged Rahma to stay in Jordan because she has developed a strong relationship with her employer. It is not a “servant-master” relationship, Rahma said, “we are like sisters.” Rahma is happy where she is now and feels that this place has become like a “home” to her, especially since she is a housekeeper now and no longer a worker. Her job is now to supervise other workers and she can rely on them for heavy cleaning tasks. According to Rahma, the “bitter, salty and sour” days of her life are over. Now, she can finally enjoy the “sweet” days.